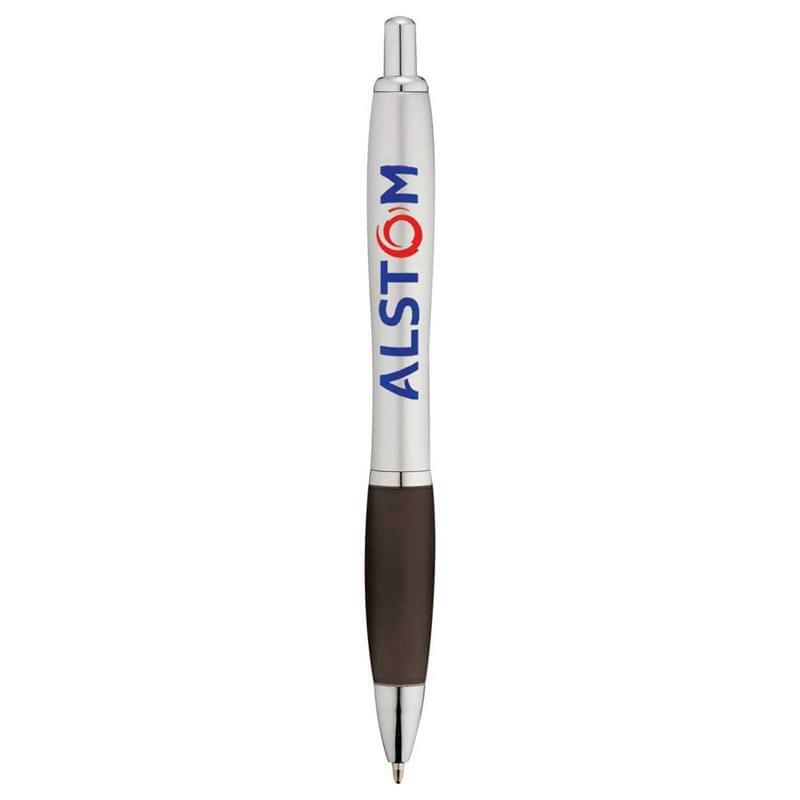 Metal-like silver barrel with colored pro-grip for writing comfort. Chrome accents. Retractable click action mechanism, blue ballpoint ink cartridge with tungsten carbide tip.